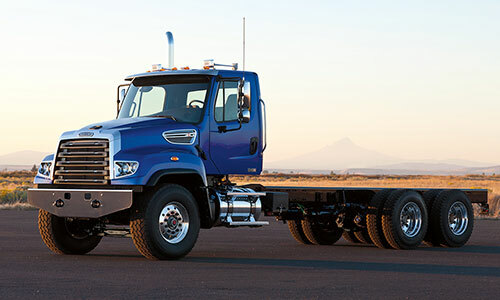 Freightliner® severe-duty construction trucks are designed with a focus on toughness and efficiency, so the most difficult jobs are accomplished with safety and economy by a low-maintenance, dependable truck that enhances bottom lines for businesses. Workplace safety is improved by ergonomic handles, larger door openings, lower entry heights and extended steps for easier entry and exit. Easily accessible components, including transmissions and see-through fluid reservoirs for fast daily checks, ensure that service events are quick and easy. Construction-industry professionals know the value of a sturdy, adaptable, low-maintenance construction truck that can take on any task. 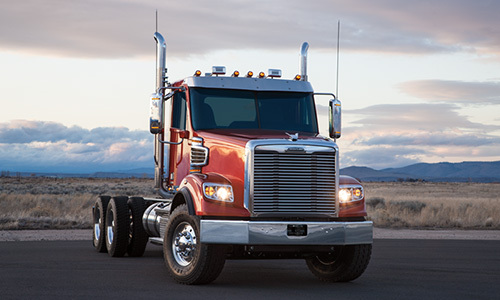 Freightliner is dedicated to designing and building a superior construction truck that meets customers’ needs. 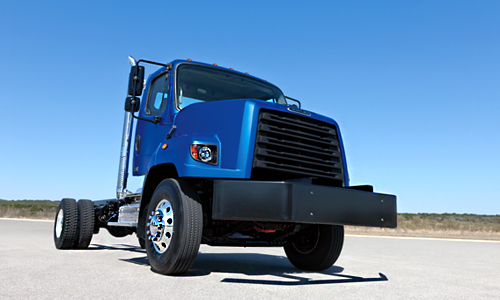 Learn more about custom Freightliner® construction-truck options and discover how tough-as-nails trucks can raise the bar when it comes to severe-duty construction performance.